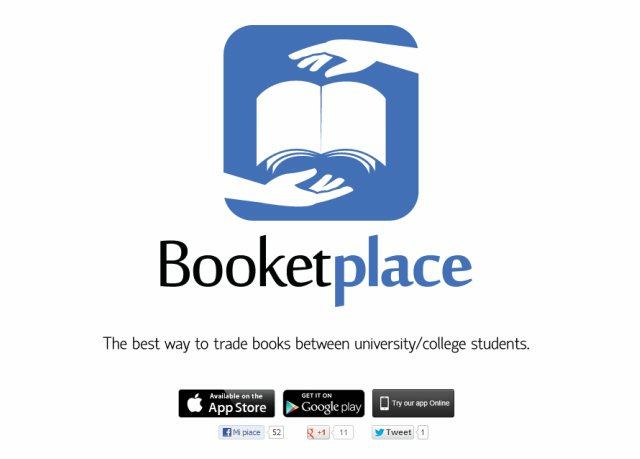 Booketplace for Android and iPhone is a new way to buy and sell college textbooks. They intend to create a local market around universities for secondhand books and manuals. Booketplace allows you to set up a sale by simply scanning the book's ISBN and adding your asking price. See what they are up to on Google+, Twitter, and Facebook. Try it online today!